Nottingham Medals buy and sell war medals, war medal groups, individual military and campaign medals, commemorative medallions and all types of badges and patches. 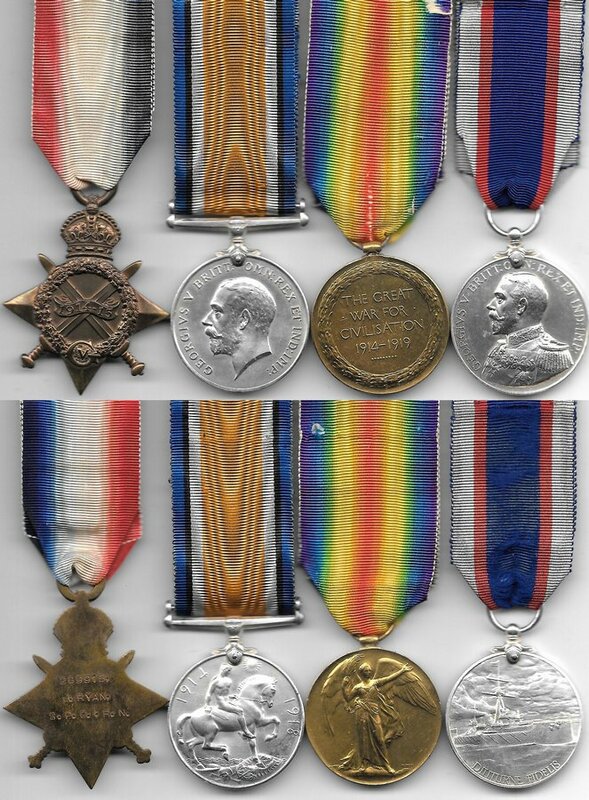 Below is a selection of our British World War One medals for sale. 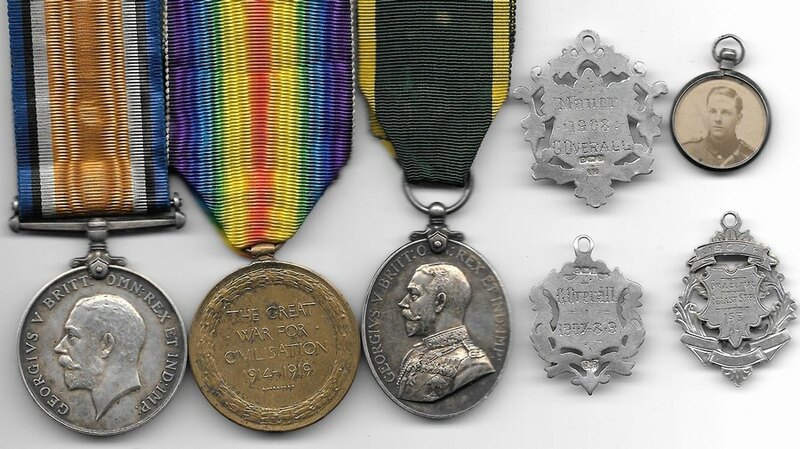 Please note all medals are original, and in good condition. Please ask for more pictures or details if required, we will be pleased to oblige. WW1 1914-15 Star Trio, Royal Navy RFR LSGC and Russian Medal Of Zeal group to STO.1 HMS Jupiter. WW1 1914-15 Star Trio named to 289915, J. RYAN, S.P.O., R.N. (Royal Navy) + Royal Fleet Reserve LSGC to 289915 (CH.B.6859) J. RYAN. S.P.O. R.F.R. WW1 1914-15 Star Trio to 27972 A.CPL. F.J. CHAPLIN. R.A.M.C. plus George VI Special Constabulary medal to FREDERICK J. CHAPLIN. Plus 1919 EEF Letter. WW1 War Medal to 33324 GNR. W. LANTSBERY. R.A. with George VI Territorial Efficiency Medal to 1405614 CPL. W. LANTSBERY. 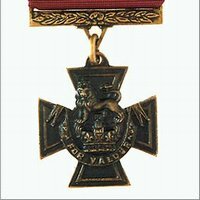 4-NORTH'N R. (Northamptonshire Regiment) Entitled to Victory Medal. 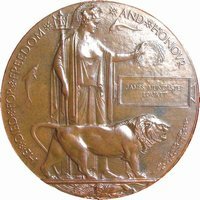 WW1 War Medal named to 97155 GNR. P. TRACEY. R.A. and Mercantile Marine Medal to PETER TRACEY. WW1 Pair to L-8268 PTE. S.G. LUMSDALE. 9-LRS. (9th Lancers) With named box and envelope. 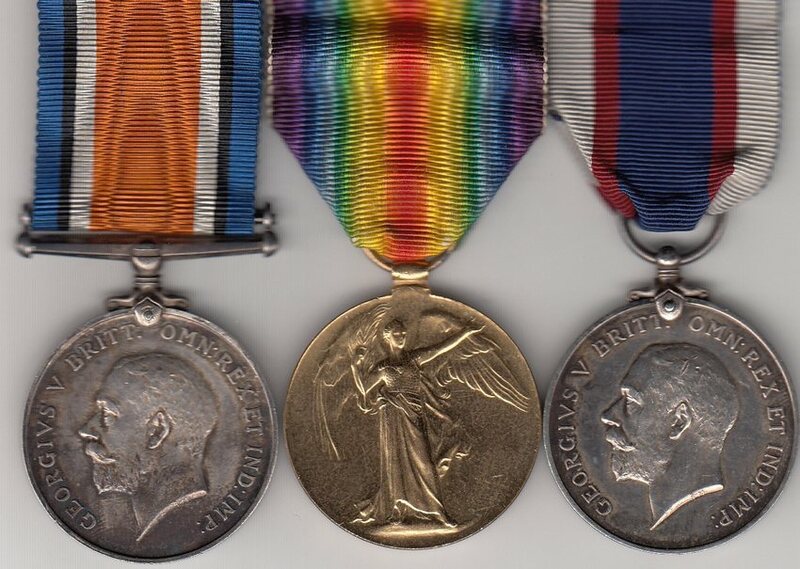 WW1 Pair, War Medal to SE-8888 PTE J L SWEET R A, Victory to SE-8888 PTE. J.L. SWEET. A.V.C. (Army Veterinary Corps)! WW1 Pair to S-30759 PTE. H.G. CLARK. RIF.BRIG. WW1 Pair named to 534437 CPL. F. BALL. R.E. We also have a number of WW1 single medals and silver wound badges for sale and awaiting reunion with the missing members of their groups. Click here for details. Please ask for additional pictures or information. All medals for sale are one-offs so please check for availability. Orders over £50 are sent by Special Delivery (£7.00) / International Signed For (£10). Lower priced items are sent First Class Recorded (£2.75) or First Class if under £25 (£1.65). Overseas rates on request.